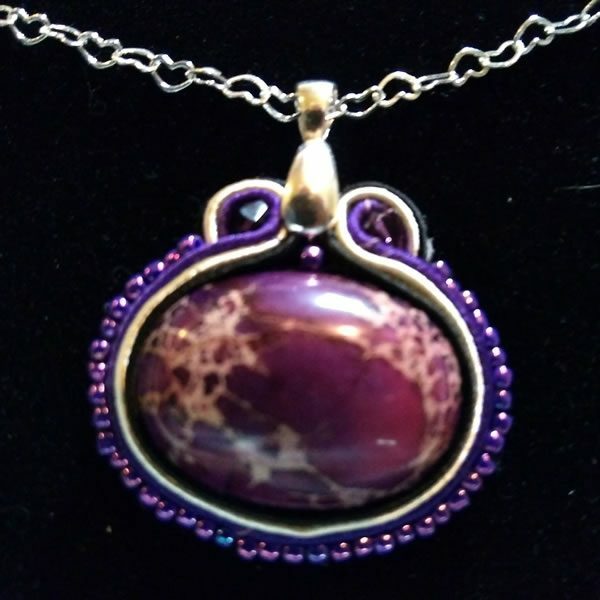 This deep purple Sea Jasper, purple Swarovski crystal necklace is created by hand using the Soutache technique. This is a Russian technique done by very few artists in the US. 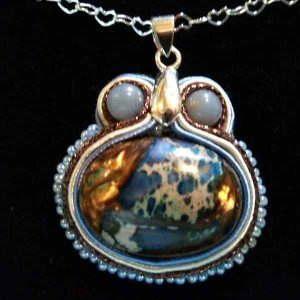 It carries the frequencies of the crown chakra and helps to connect you to spirit by creating communication with your guides. The silver plated chain is 18 inches long and has heart shaped links so that it lays perfectly to showcase this piece of art. 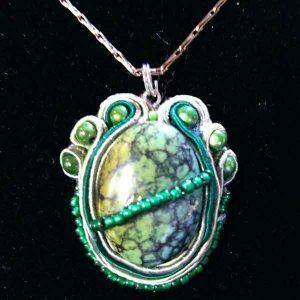 Each piece is signed by Cyndie and is one of a kind. The two stones at the top are real Swarovski crystals.